Giving back to nature with every can. Canada Fresh is based on the philosophy that dogs and cats should eat primarily meat. In the wild, dogs and cats survive by eating meat, and Canada Fresh is designed to adhere as closely to that natural diet as possible. All of our products are made up of single animal protein, with the exception of our red meat formula. 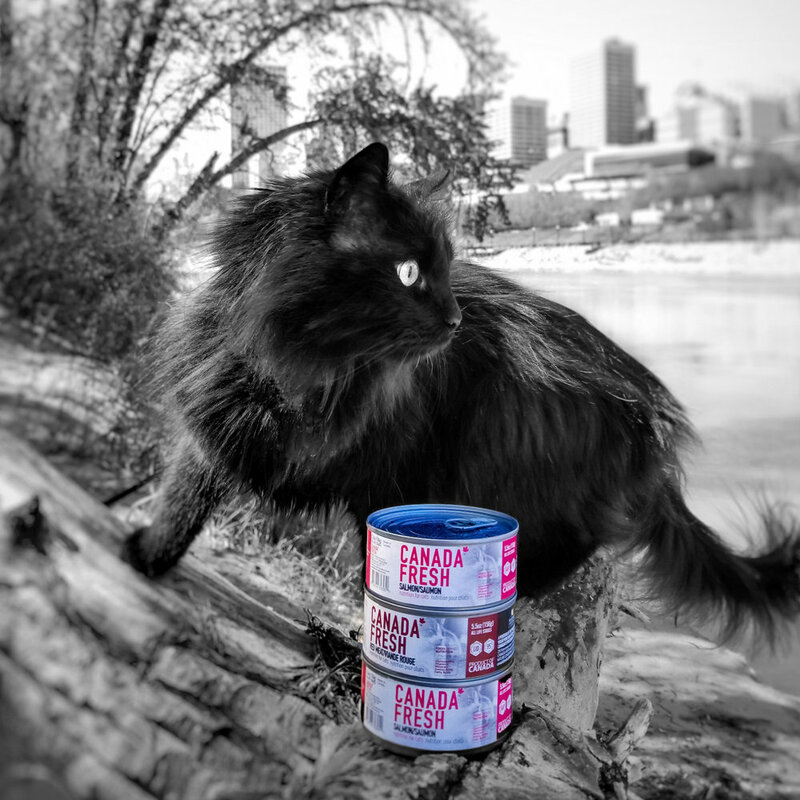 Canada Fresh uses quality Canadian resources, formulated to meet your pet’s nutritional needs at each stage of life. 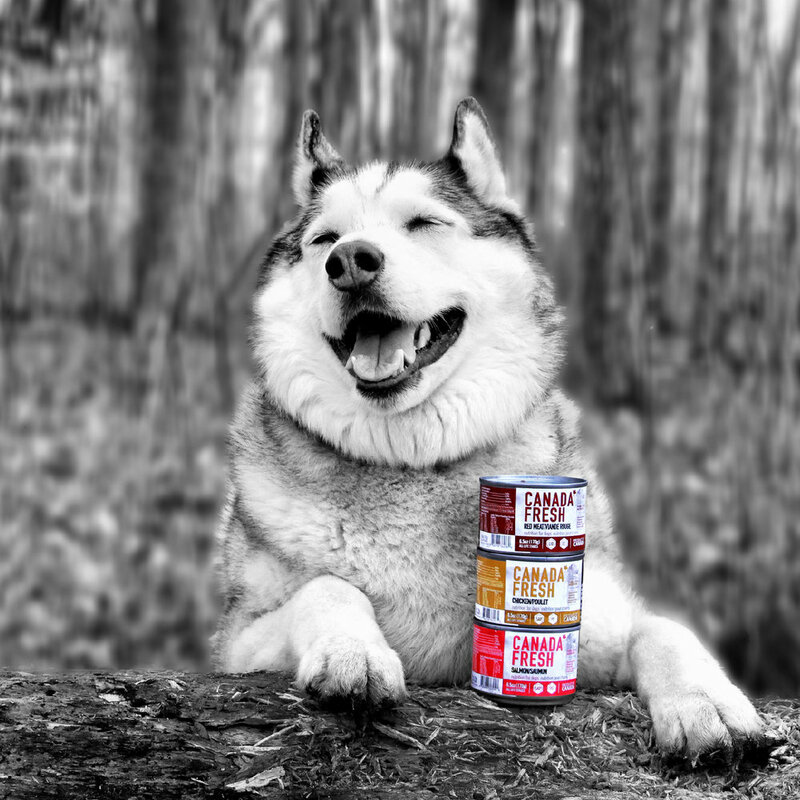 A full size serving of Canada Fresh is a complete and balanced meal for your dog or cat. We're proud to make Canadian food in Canada, with exceptional ingredients taken from right here at home, eh? We use only sustainable ingredients, and all are sourced directly from Canada (except our salmon, sustainably sourced from Europe). Our products contain natural sources of glucosamine, vitamins, minerals, and amino and fatty acids. It’s nutrition the way nature intended. Give back to nature with every can. Proudly partnered with Nature Conservancy of Canada. A portion of the proceeds from your purchase of Canada Fresh goes to help protect Canada’s precious ecosystems. To protect our vast land and natural resources. Our amazing and biologically-diverse land produces fresh and quality ingredients – ingredients that are the backbone of Canada Fresh. But it does more than that. Natural land is vital to our planet’s CO2 absorption, fresh and clean water supplies and much more! Given how invaluable nature is to our survival, it only makes sense to help support, protect, and conserve this rich and wonderful land, so that it can continue to produce, protect, and sustain, for now and for generations to come. Nature Conservancy Canada (NCC) is a leading national land conservation organization that works to protect important natural and ecological treasures. Since 1962, NCC and its partners have helped protect more than 2.8 million acres of ecologically significant land from coast to coast. This biologically-diverse land and water sustains essential plants and wildlife, and the work of the NCC ensures that these precious ecosystems continue to thrive and flourish. At the heart of NCC’s mission is a respect for nature and the belief that nature’s rich diversity benefits us all. We are proud to be partnered with the NCC, and to play a small role in the invaluable work they do. 25 cents from every case of Canada Fresh that you purchase go directly to Nature Conservancy Canada, to help protect Canada’s natural beauty and our precious ecosystems.